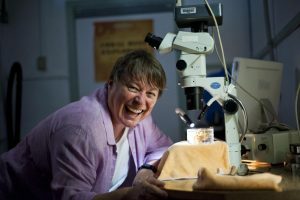 A team of researchers from the University of Hawai‘i at Mānoa School of Ocean and Earth Science and Technology and the Bernice Pauahi Bishop Museum conducted a study of coral resiliency that showed some corals are better able to tolerate heat than similar corals tested in the 1970s. But scientists say it will not be fast enough to fight off rising sea temperatures. Co-author Keisha Bahr surveying a healthy coral colony. PC: Ji Hoon. 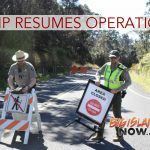 The scientists replicated the identical experimental system, methodology, coral species, collection site, and even brought in one of the original researchers, Steve Coles, adjunct faculty at the UH Mānoa Hawai‘i Institute of Marine Biology (HIMB). 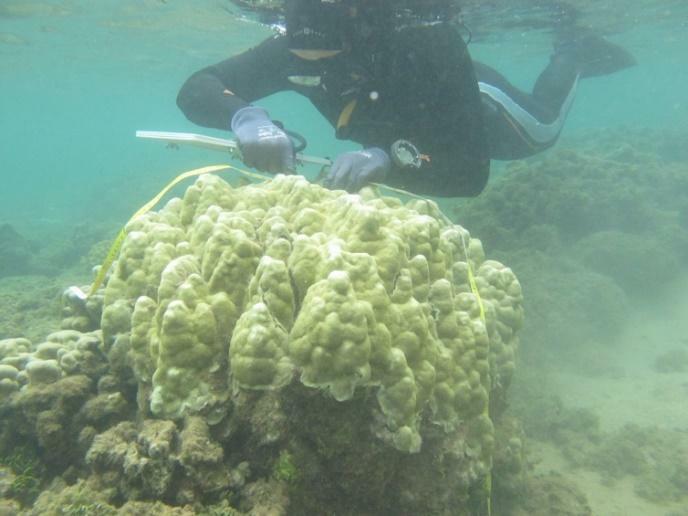 The Hawaiian corals from Kāneʻohe Bay, Oʻahu showed differences in coral bleaching temperature either because of changes in physiological processes (acclimatization) or because of natural selection for the survival of more temperature tolerant corals (adaptation). 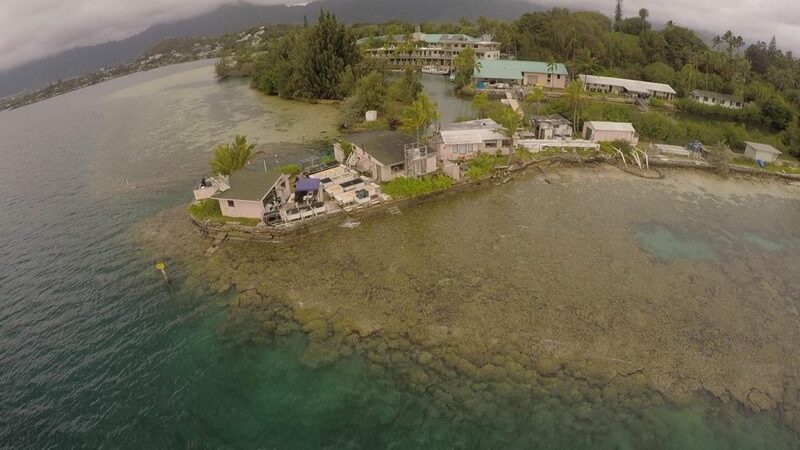 Coral Reef Ecology Lab at HIMB in Kaneohe Bay, Hawai‘i. PC: Claire Lager. The International Panel on Climate Change, a group of renowned scientists from over 40 countries recently announced their predictions based on tens of thousands of scientific papers. They predict that if humans do not make drastic changes in reducing carbon emissions within the next 12 years 99% of the world’s coral reefs will be gone in one more generation. 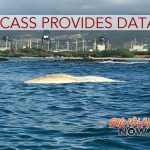 One of the confounding factors the researchers were not able to replicate was the higher nutrient levels in Kāneʻohe Bay in 1970 when untreated sewage was being discharged directly into the area. 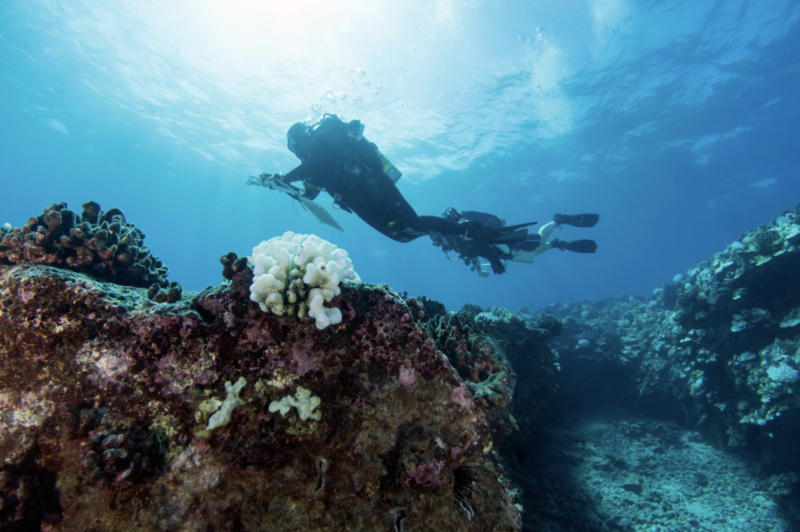 Although these levels were lower than the levels that have historically been shown to increase the rates of bleaching and mortality in corals, the team wants to be certain this did not affect the new results. 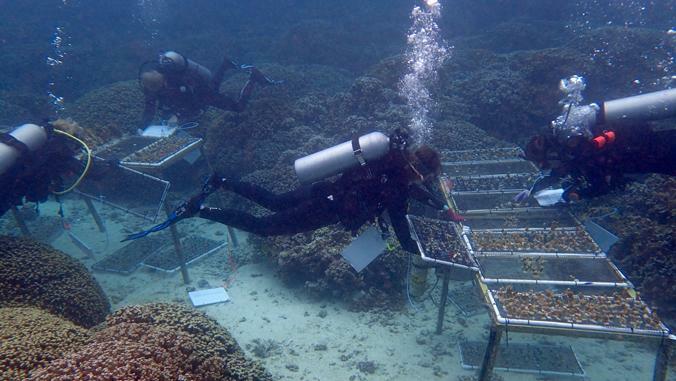 In an upcoming experiment, the scientists will be replicating the nutrient levels from 1970 to determine any positive or negative effects on the corals today. Expanding to other regions of the world to determine where and if acclimatization and/ or adaptation is occurring and under what conditions, will follow as the next important step. In addition, the coral reefs in Kāneʻohe Bay have a long history of anthropogenic insult thus, further research is needed to understand the role of genetics in coral acclimatization and adaptation.